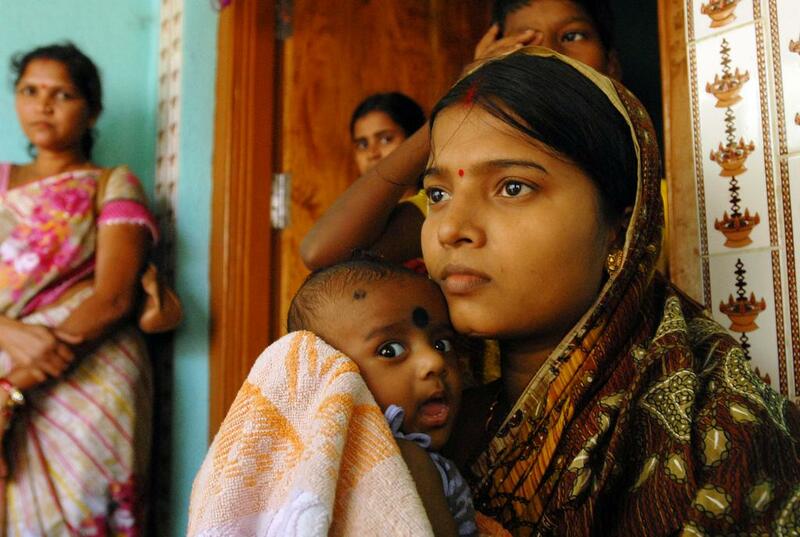 A child’s future is pinned on the first 1000 days of development, when brain growth is most rapid. Any damage during this critical period can cause long-lasting effects on their health and well-being, which is why a new report by UNICEF is especially alarming. New analysis focusing on babies (children below one year) has found that almost 17 million of them live in regions where outdoor air pollution is at least six times higher than international limits. South Asia accounts for the majority, with 12 million of these children. Children take in more air per unit of body weight than adults—and thus, inhaling more toxic air. This is dangerous when immune systems and lungs are still developing and the dosage required to damage a growing brain is much lower than that of an adult brain. Air pollution affects the brain through several mechanisms. Particulate matter can cause swelling of the barrier protecting the brain from toxic substances. Breakdown of this barrier has been strongly linked to degenerative memory and motor disorders as an adult. Ultrafine particles smaller than 2.5microns can easily enter the blood stream and travel to the brain. Magnetite particles can enter the body through the olfactory nerve in the nose, or the gut. Commonly found in urban outdoor air pollution, these particles are highly toxic for the brain. Polycyclic aromatic hydrocarbons (PAHs) are pollutants formed by burning of fossil fuels and found in areas with high automobile traffic. They directly damage or reduce white matter necessary for different parts of the brain to communicate with each other. These neural connections are the foundation for continued learning and development. Air pollution exposure has been directly linked to lowered IQ and memory, reduced test scores and GPA (Grade Point Average) among school children. Studies referred to by UNICEF have also linked it to symptoms of anxiety, depression and attention disorders. Pollutants inhaled during pregnancy can penetrate into the placenta and affect the developing brain of a foetus. This prenatal exposure not only causes developmental delays but also low birth weight. Children growing up in urban slums are possibly the worst affected, as lack of clean water and sanitation is compounded by air pollution risks. The UNICEF report provides several recommendations to counter this threat. This includes access to better public transport, urban green areas for improved air quality, usage of renewable energy sources over fossil fuels, proper indoor ventilation and air filtration systems and smart urban planning to prevent industrial pollution near schools, hospitals and clinics. Besides expressing concern over children getting exposed to cigarette smoke, it recommends limiting strenuous activities when air pollution levels are severe. The scale of air pollution problem is too high for parents and responsible citizens to ignore. The UNICEF mentions that further research is necessary to assess the full impact on developing brains.